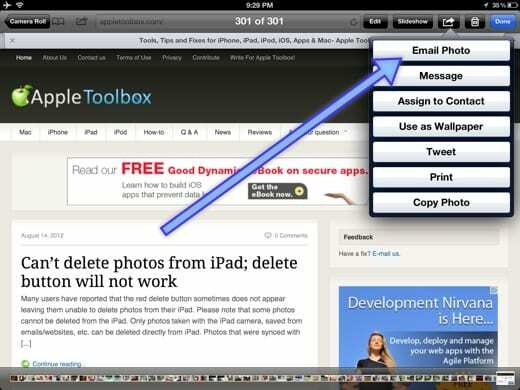 The first option is to email the attachment within the app. 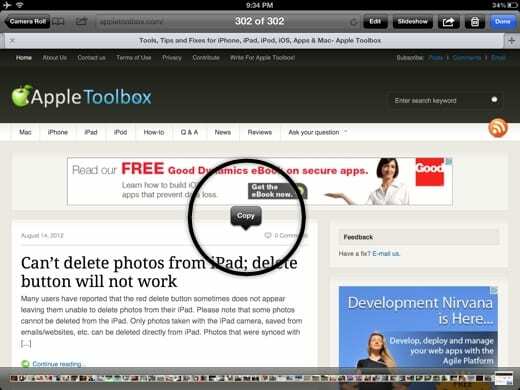 Apps usually have share/email/export options. 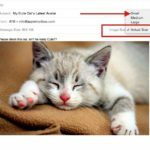 For instance, if you are planning to send a photo, launch the Photos app and tap “Email Photo,” or if you want to attach and send a Pages document, launch the Pages app and tap “Share and Print” and so on. 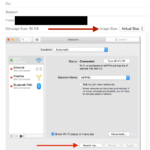 Note that this option will send the attachment if you’ve already set up your device’s built-in mail app. 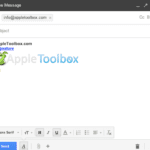 You can also copy and paste your attachment into an email message. 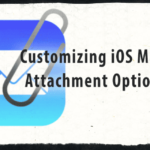 However, there are restrictions on the type of attachment file type that you want to send. 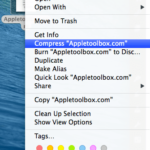 For instance, you can’t copy and paste a pages document. But you may copy and send photos and videos. 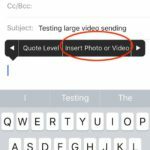 Simply tap and hold the photo/video that you want send and copy; navigate to your email, create a new message and in the message area tap/hold and paste. 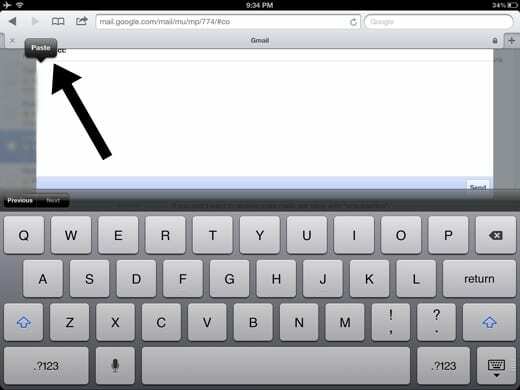 There are three great advantages when using this feature: (a) you can easily attach photos if you are accessing your email via your web browser (like Safari) instead of using the built in mail app (b) you can attach files when you are replying to an email message and (c) you can attach multiple photos to an email message.